Taxes can be a serious business expense if left unchecked. There are plenty of business tax credits to help alleviate this financial burden however. Some are extremely easy to qualify for. Look over these six tax credits to see what you can use in your business. If you have office furniture or electronics lying around, do not allow it to continue cluttering up the place. Take it to a charity and receive tax credits in return. Donate all you can every year so that you have more control over income. Know the rules and speak with your accountant because you must donate to qualified companies. Trade in the regular company vehicle for a more eco-friendly one. In addition to preserving the environment, you get tax incentives. Common types of cars include electric, hybrid and battery models that use alternative fuels. Use your credits to save on the car purchase and gas consumption. Before you buy, review all of the vehicles that are eligible. Promote retirement plans for your employees in return for a credit. To qualify, a small company must have fewer than 100 workers who make at least $5,000. Another common rule is that you cannot enter start up expenses that exceed $1,000. No credits are given out after the third year of the plan’s existence. Promote retirement among your employees as you save on taxes. Any business receives benefits when the owner invests in energy efficiency. Get a credit for each square foot of a building that contains energy-efficient materials, lights and HVAC systems. The IRS provides forms for people who build these types of homes and buildings. If you have energy-efficient appliances, use the Form 8909. The building has to be certified so that it meets efficiency requirements. Employers get credits if they provide childcare services to employees. Designate a certain spot on the property that is used to host a daycare center. Save up to 25% on the childcare expenses with a limit of $150,000 every tax year. See if this option is suitable for your particular type of business. Make a total list of the equipment that you want to throw out. Tax time is a good time to remove old, used up possessions like furniture and computers. When you buy new equipment, receive tax credits if the purchases qualify. Discuss the details with an accountant before you make any purchases. 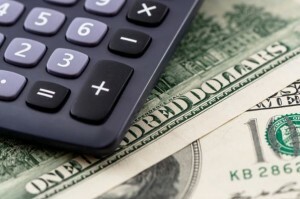 Tax credits lead to more savings and more earnings for your business. It decreases the tax amounts that you are required to pay annually. To have a good idea of these savings, think about all the great things that your company does. The next time you file for taxes, review all of the credits available. Kara Masterson is a freelance writer from West Jordan, Utah. She graduated from the University of Utah and enjoys writing and spending time with her dog, Max. Click Here to learn more about business tax credits.